This year, we're making a serious effort to stay stress-free during the holidays. We know we'll be up against a challenging task, but it's not an impossible one. Family drama, delayed flights, tempting holiday treats? We're brushing all of it off and staying sane through the most hectic month of the year with a little help from the Tory Burch Hybrid Smartwatch. 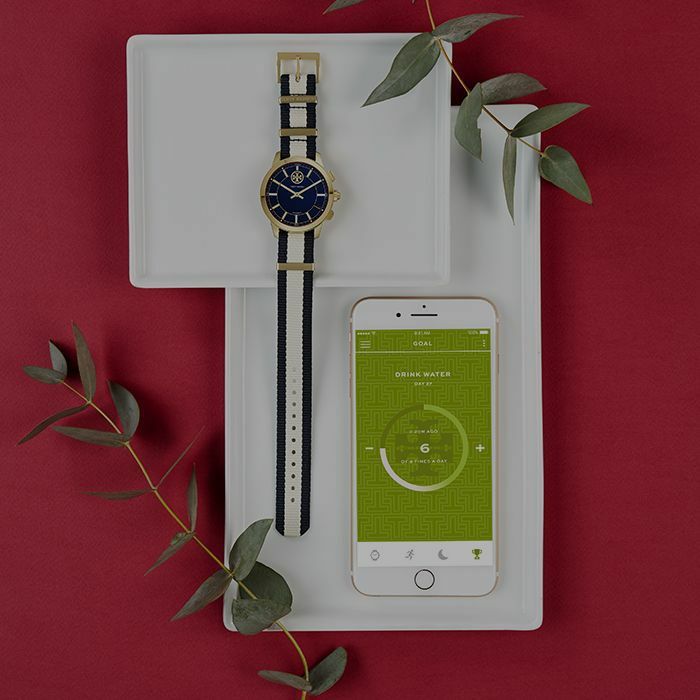 It's stylish and functional, meaning we can rest easy when it comes to accessorizing our holiday party looks, keeping track of our fitness goals, and finding that perfect last minute gift for our girlfriends. Below, see how the new hybrid smartwatch is helping us tackle some of the season's biggest dilemmas.